Pan-fried Oscypek is the starter to go for when you are visiting the capital of the Polish mountains – Zakopane. 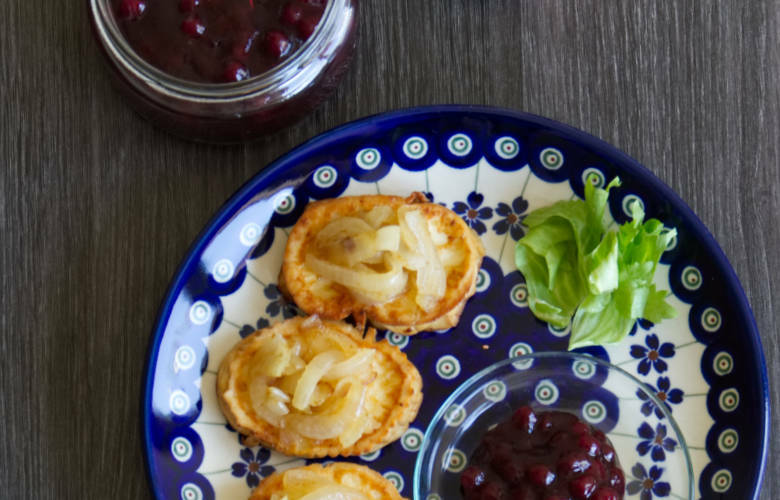 The strong taste of the cheese, fried onions and cranberries taste amazing together! I have known Oscypek since I was a child! Each time we were going for a hike in Tatra mountains with my mother and my brother each one of us had Oscypek in the pocket! 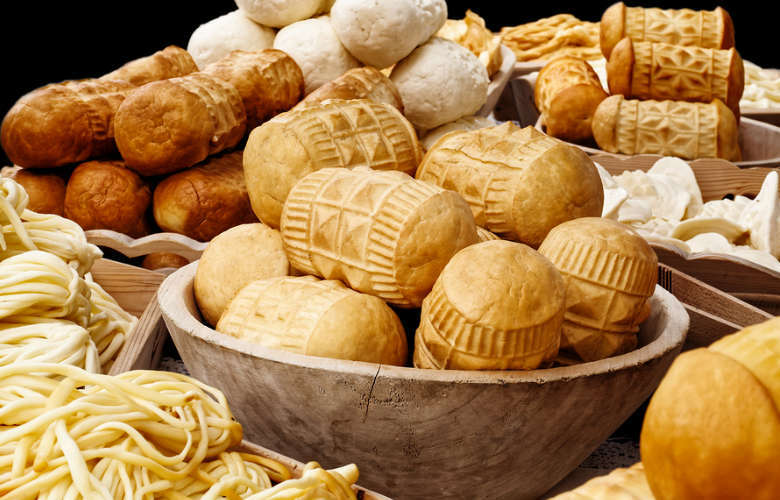 The traditional way of eating Oscypek is to eat it as it comes or with a slice of bread. In 2015 we went to Zakopane during the Easter with my mum, and we have discovered that in Zakopane there are also other ways to serve Oscypek. In the restaurants, Oscypek is served as a starter and also pan-fried – which since that trip is my favorite way of serving this cheese! I knew that the first thing I am going to do when I come back to Germany is to cook it myself. So I bought a big chunk of Oscypek, and I have decided it to prepare it myself. The recipe below is one with fried onions and cranberries, which is delicious! The taste of smoked fried cheese served with onions and cranberries is good. I am thrilled that polish cuisine/dishes from regional products are still developing. Well done Zakopane! In another post, I also published my other favorite Oscypek recipe: Traditional Oscypek with Bacon. Before we get into cooking, there are few things you need to know about buying Oscypek in Podhale or any other part of Poland. If you are interested how to recognize the real Oscypek, please read my other blog post: How to buy the authentic Oscypek. Preheat a large pan, add butter to it and wait until melts. Add sliced onions to the pan and fry them on medium low heat, stirring occasionally, for 2 minutes or until golden brown. Remove the onion slices and set aside. Slice oscypek into 1 cm slices. Fry the first side of oscypek for 2-3 minutes and the other for 1 minute on medium low heat. Be cereful! If your heat is to high the Oscypek can brun from outside and be still to hard from inside and you don't want that. The cheese has to be soft, but hard enough to be removed from the pan. Serve immedietly with onion slices on the top and with cranberry jam on the side. The Oscypek prepared that way would go also very well with a simple salad or bread.